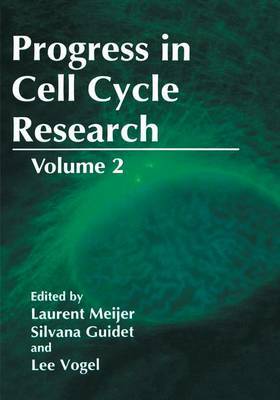 Now in its second year, Progress in Cell Cycle Research was conceived to serve as an up to date introduction to various aspects of the cell division cycle. Although an annual review in any field of scientific investigation can never be as current as desired, especially in the cell cycle field, we hope that this volume will be helpful to students, to recent graduates considering a de1liation in subject and to investigators at the fringe of the cell cycle field wishing to bridge frontiers. An instructive approach to many subjects in biology is often to make comparisons between evolutionary distant organisms. If one is willing to accept that yeast represent a model primitive eukaryote, then it is possible to make some interesting comparisons of cell cycle control mechanisms between mammals and our little unicellular cousins. By and large unicellular organisms have no need for intracellular communication. With the exception of the mating phenomenon in S. cerevisiae and perhaps some nutritional sensing mechanisms, cellular division of yeast proceeds with complete disregard for neighbourly communication. Multicellular organisms on the other hand, depend entirely on intracellular communication to maintain structural integrity. Consequently, elaborate networks have evolved to either prevent or promote appropriate cell division in multicellular organisms. Yet, as described in chapter two the rudimentary mechanisms for fine tuning the cell division cycle in higher eukaryotes are already apparent in yeast.